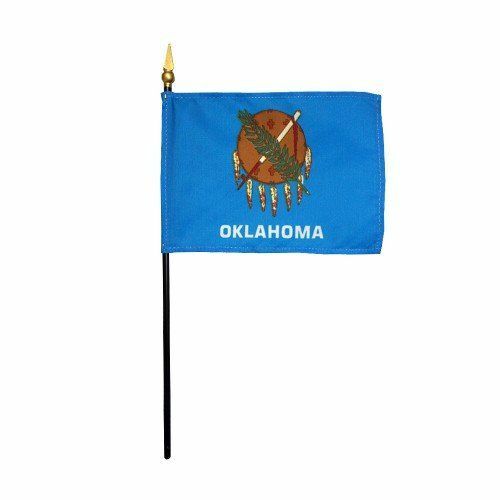 AmericanFlags.com is proud to carry Oklahoma State Flags in a variety of materials, and styles, in sizes ranging from 4 IN X 6 IN to 12 FT X 18 FT. All of our Oklahoma flags meet official specifications, are on sale right now and are ready for immediate shipping to your door. 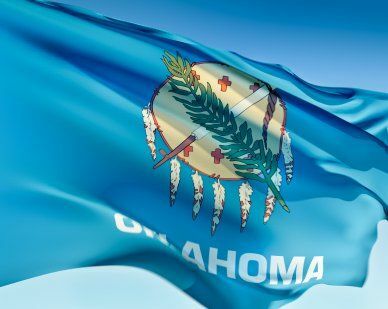 Designed by Mrs. Louise Funk Fluke, whose entry was chosen as the winning submission in a flag contest sponsored by the Daughters of the American Revolution, the Oklahoma State Flag was adopted on April 2, 1925. 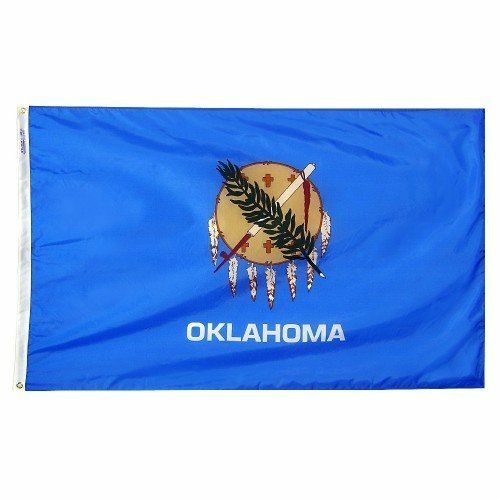 With a sky blue field and an image of an Osage Indian battle shield made of buffalo skin, the flag features the state’s name, which was added in 1941. 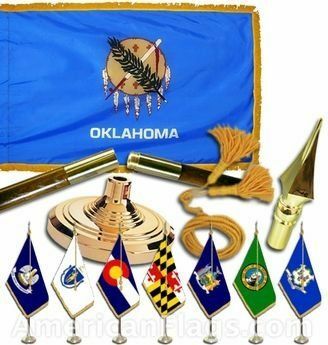 Eagle feathers and white crosses, which serve as a Native American symbol of higher purposes, adorn the shield along with a gray peace pipe and an olive branch, to represent peace.